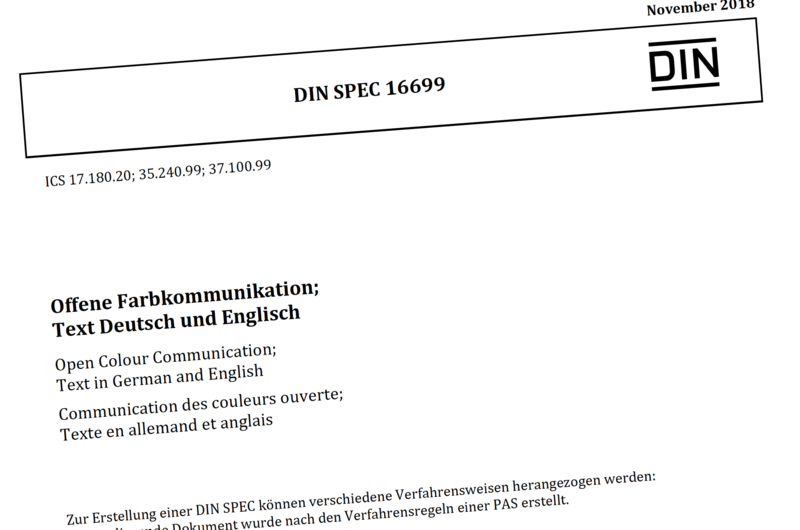 DIN SPEC 16699 is officially released – freieFarbe e.V. 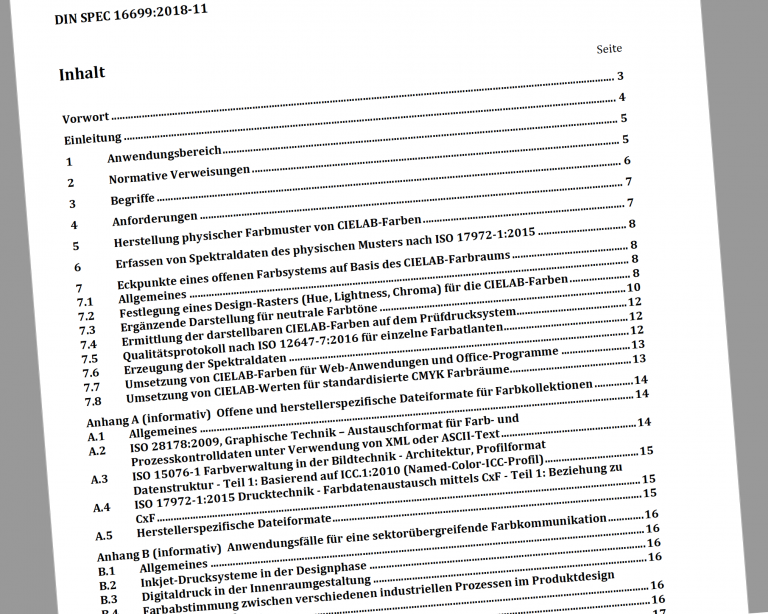 The 44 page PDF document is written in German and English and published by Beuth, the sole distributor of the German DIN standards. You can download it free of charge after registering on the web site. Click here to download DIN SPEC 16699.
Who needs a DIN SPEC? Of course, it is not to be expected that every printing house and every advertising studio will immediately work with CIELAB HLC colours and our HLC Colour Atlas, as we suggest in DIN SPEC. However, we would like to point out, also to very professional circles, that free mathematical colour models, which slumber in every computer, represent an exact and meaningful, often better alternative to commercial solutions and manufacturer collections. Technical progress makes this possible at a reasonable cost. Areas related to standardization are often found in the public sector. In this sense it is possible, for example, that the European flag will no longer be defined in Pantone (Reflex Blue and Yellow, see here) but in a mathematical model freely available everywhere. In any case, this would make sense. Think only of the fact that a private company can change its products at any time, or of colour definitions for non-Pantone implementations, or of systematic colour variations for corporate design purposes, or of the passing on of colour values. All these common problems are no longer a problem with CIELAB HLC colours according to DIN SPEC 16699. Thanks to DIN e.V., especially Mr. Lamm, for the perfect cooperation!